to specific patient populations–holds enormous potential for the future of healthcare. Here at PBA, we are pursuing both precision development, the targeted development of new treatments for specific patient populations, and precision treatment, the selective use of existing medications based on an individual’s unique characteristics. We believe that precision medicine can address the complexities of disease and biological interactions on the whole-genome level. Our patient-derived cell culture technology allows for high-throughput, functional drug screening that accounts for the complexities of biological interactions in the tissue of interest, without the need for complex genome sequencing and interpretation. PBA’s technologies enhance the drug development and testing process by enabling the broad adoption of precision medicine. We are currently focusing on respiratory diseases due to their high societal and economic costs. 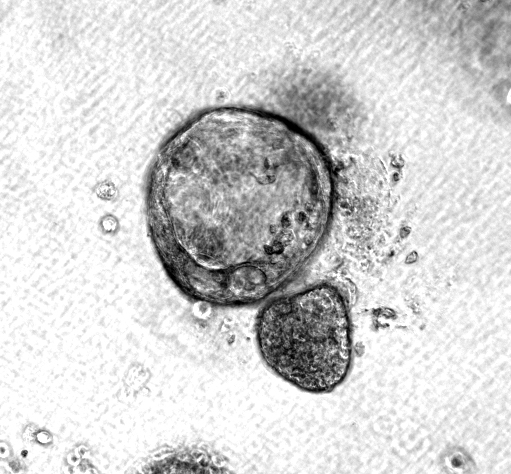 Organoids are a unique type of three-dimensional cell culture that are ideally suited to support precision medicine in respiratory diseases and beyond. We help our partners throughout the entire drug development and testing process. Our technology is broadly applicable to diseases that impact ion channel function, cilia activity, mucociliary clearance and mucus/sputum production. Examples include cystic fibrosis (CF), chronic obstructive pulmonary disease (COPD), asthma, and primary ciliary dyskinesia. For patients, we represent the promise of earlier access to life-changing, personalized medications. For pharmaceutical companies, we help to identify effective drugs earlier in the development process and ensure clinical trials are designed to achieve their full potential. Path BioAnalytics is seeking partners to further support the development, distribution and use of our assay for applications relating to cystic fibrosis, COPD, asthma, bronchiectasis and intestinal diseases. For more information on partnership and licensing opportunities, contact us at info@pathbioanalytics.com.